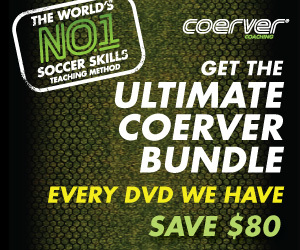 So you want to learn how to head the soccer ball like some of the greats in the game. Well, there's an art to heading the soccer ball, from re-directing the ball into the lower corner of the net to flicking the ball on to another player to score. Often, heading is the unsung soccer skill that doesn't get the respect it deserves. A tall forward who can win head balls or a defender who can go up on corners and score goals with their head are valuable pieces to building up a great soccer team. Then there are the goal scoring marksmen like Raul, who whips balls into the net with his head on a regular basis for Real Madrid and Spain. Watch this spectacular header by Palermo of Boca Juniors or this smart header by Klinsmann - who of course is now the coach of the United States national team and who scored a ton of goals with his head when he played. *See how NOT to head the ball. Overall, for young kids, just starting out, there really isn't a need to focus on heading the soccer ball. 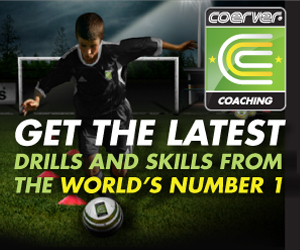 Instead, work on juggling and dribbling, heading can wait until your much older and develped. Use the upper portion of your forehead to head the soccer ball, just near where the hairline starts. Keep your jaw tight and your teeth glenched when heading the soccer ball. Power in heading comes from whipping your back and upper chest forward, and using legs and stomach muscles for strength. Raise your arms and elbows to protect yourself. Sometimes this is called as a foul, but if you're using your elbows to protect yourself and not hit the defender you shouldn't get called against. Square your shoulders to the goal. Bend your knees to get some leverage. Keep your eyes open so you can see the ball - seems obvious but some young soccer players close their eyes. Try to head the center of the ball. On offense, when in front of goal, head the ball down and into the corners. It is more difficult for the goalkeeper to read and judge a ball that bounces in front of them and is low to the ground. On defense, head the ball up as to give our teammates more time to read the play and get into position to defend--close down the offensive player. If you head the ball down you could mistakenly head the ball directly to an opponent who might get a shot off. Also, keep your elbows up when going up in the air to protect yourself and dissuade others from trying to go up and win the header against you. Again on offensive, head the ball back where it came from. Meaning, on corners, if you're at the far post, head the ball back across the goal to a teammate. Don't make things too complicated, just as with the ball on the ground, head the ball the direction you're facing. The feet should be spaced apart, forming a good base, 8-10 inches wide. The feet should also be staggered, to provide balance when the upper body arches backwards as the ball arrives. The trunk of the body should snap forward to give power to the header as the forehead contacts the ball. Point of contact on the ball can vary depending on whether the player is attacking or defending. When heading to score, the contact should be at the midline of the ball to keep it directed down and low. When defending, the contact should be made below the midline of the ball, with the upper body continuing forward to head the ball into the air. When jumping off one leg, choose the leg most appropriate to the situation. Some players prefer jumping off of one leg over the other; so a coach should make sure players are able to jump off of either leg successfully when attempting to head the ball. On takeoff, the knee and ankle of the take off leg should push upward and should arch backwards after the jump. The action of the non-takeoff leg should swing forward and high, bending at the hip and knee. If you're trying to re-direct the ball with your head, then you want to flick the ball on, just get a touch on the ball with your head. The player's jumping motion should be rotated towards the intended direction you want the ball to go, so that the surface of the forehead and the upper body are at the right angle to redirect the soccer ball. In addition, when heading from a jump-and-turning action, it is best to jump with the leg that is closest to the ball. The opposite leg must then swing in the direction of the ball, in order to help rotate the trunk. Again, you're basically trying to flick the ball on and using the pace of the ball to get it to its intended target. Again, just to go over this again, heading the soccer ball is something players can learn when their older. While heading is an important part of the game of soccer, it's not a skill that young kids need to focus on. Heading the ball is really something that older players, say past the age of 16, should starting working on in training. Let young soccer players work on mastering the ball at their foot and start using their head as they get more mature and grow into their bodies. So, while it's alright to do some heading work in training for younger players, there's really no need to risk a concusion or a head injury by heading the soccer ball too much in a practice session - leave the heading for games. But again, heading is a skill that can be learned once a player is stronger and older, the skill work with the feet takes more time and practice - focus on that. Increasingly, it's clear that young players are in danger of getting concussions if they head the ball incorrectly at a young age. Soccer coaches can teach the proper heading technique, but should focus on developing players who are masters of the ball at their foot, since that's really what the game of soccer is all about - doing the amazing with the ball at your feet.